Unorthodox-Jew A Critical View of Orthodox Judaism: "When Heinemann speaks, people listen," says Paul Mendlowitz, senior vice president of DiamondCard Processing Corp., a credit-card processing company in Rancho Cucamonga, Calif. Mr. Mendlowitz, who is Orthodox, and others countered that since most Web sites don't process transactions on Saturdays, no money changes hands, so the sites should be able to remain open." "When Heinemann speaks, people listen," says Paul Mendlowitz, senior vice president of DiamondCard Processing Corp., a credit-card processing company in Rancho Cucamonga, Calif. Mr. Mendlowitz, who is Orthodox, and others countered that since most Web sites don't process transactions on Saturdays, no money changes hands, so the sites should be able to remain open." Because of the biblical prohibition against working on the holy day, Orthodox Jews must close their stores on the Sabbath. But does that also apply to their Web sites? With the rise of e-commerce, that question has long been brewing in Orthodox Jewish circles, and last fall it came to a head with a random phone call to Rabbi Moshe Heinemann. Rabbi Heinemann, of Star-K Kosher Certification, an international kosher certification organization based in Baltimore, is one of a handful of rabbis in the United States recognized as having mastered the minutia of Jewish law. He is consulted frequently by Orthodox Jews -- who number some 600,000 in the U.S. -- seeking guidance with the wave of new technology never anticipated by the strictures of Judaism, especially when it involves the Sabbath, which begins at sunset Fridays and ends an hour after sunset Saturdays. With the dilemma over Web-based businesses before him, Rabbi Heinemann recalled a 45-year-old related ruling by another renowned arbiter of Jewish law. The late Rabbi Yitzchok Weiss had said Orthodox-owned vending machines must be closed, because even though the owner isn't present to make the exchange, he still collects the money. The parallel precedent seemed clear, so Rabbi Heinemann's answer was that Web sites, too, must be unplugged, even though the owner isn't technically doing anything. A Web site operated by an Orthodox Jew could remain open only "if the shopping cart on the Web site is shut down," ensuring that no actual transactions took place, Rabbi Heinemann ruled in his group's small but influential newsletter Kashrus Kurrents. The article spurred a storm of protests from Orthodox businessmen concerned that Rabbi Heinemann's ruling, which several rabbis say has the force of law among observant Jews, would mean a loss of online orders. The 66-year-old Rabbi Heinemann travels around the world certifying everything from ovens manufactured by General Electric Co. that can be programmed to go into "Sabbath mode" -- meaning that food can be kept warm because Orthodox Jews aren't allowed to turn things on by pressing buttons on the Sabbath -- to legal arrangements in which a Jew transfers formal ownership of his business to a gentile one day a week so it can stay open on Saturday. His organization boasts what it calls the world's only Mandarin-speaking rabbi. Born in Germany, Rabbi Heinemann lived in England and came to the U.S. after World War II ended. 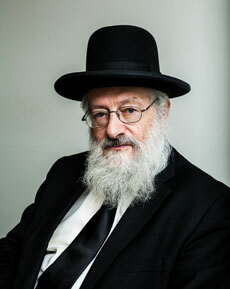 He studied at rabbinical college under a prominent rabbi, the late Rabbi Aharon Kotler, dean of Beth Medrash Govoha Seminary, in Lakewood, N.J., the largest rabbinical seminary in the U.S. He has been teaching Jewish law for several decades. "When Heinemann speaks, people listen," says Paul Mendlowitz, senior vice president of DiamondCard Processing Corp., a credit-card processing company in Rancho Cucamonga, Calif. Mr. Mendlowitz, who is Orthodox, and others countered that since most Web sites don't process transactions on Saturdays, no money changes hands, so the sites should be able to remain open. Israel Sendrovic, a retired executive vice president of the Federal Reserve Bank of New York, weighed in with the protestors, confirming that credit-card transactions over the Internet aren't generally processed Saturdays. "One of my hottest business days was on Rosh Hashana," says Rabbi Mayer Pasternak, who created Jewishmusic.com, an online emporium of aural Judaica. "I felt a twinge of guilt, coming back and there were a couple hundred orders." The guilt was especially strong, he says, because he assumed that visitors to his site were nearly all Jewish, and should not be browsing the Internet on the Sabbath and holidays at all. The Talmud, the collection of writings that make up the body of 3,000-year-old Jewish civil and religious law, weighs in on many of the finer points of the Sabbath, but not all of them, and could never have anticipated the explosion of Internet shopping, to name only one technological development that would have confounded the ancient patriarchs. "This is all new," Rabbi Heinemann says. An infertile Jewish couple once asked the rabbi whether their child would be Jewish if they used a surrogate mother who wasn't. To the couple's relief, Rabbi Heinemann ruled that their child would indeed be Jewish, as the host mother would simply be an "incubator." He even developed an Orthodox procedure for ensuring the paternity and maternity of a baby conceived in a test tube: An Orthodox Jew must be on hand to collect the sperm and the egg and to seal the contents of the test tube. The rabbi heard from an array of people who disagreed with him on the Web site issue. He was inundated with phone calls both at work and his home, and after mulling over the decision, he handed down a rare reversal in the newsletter's latest issue in May. The issue has quieted down, but the rabbi, who has reversed himself only a handful of times in his 40-year career, says it deserved the attention: "This is something you have to know. Keeping the Sabbath in a proper way is very important to us." Baltimore fascist rabbi-judge Sander Goldberg: "What Should We Do With Trump?" How does Artscroll manage? They shut the entire site down for Shabbos. The Irony that litters every aspect of my post..
As far as I know, Art$croll site is run by abovementioned Mayer Pasternak. That is to say he turns the plug on and off from Balto. Anonymous 4:46 PM, July 30, 2016 – "... SecondTemple#2 ... Destruction #2 ... Most of you Won't even get ..."
Wrong, period. Moshiach wont come not because of our leader UOJ but because of Heinemann and guys like him who literally f***ed our Judaism from behind!!! No temple will be rebuild in Jerusalem until crimes in our midst stop – or until they become exceptionally horrendous (Sanhedrin 98). You vouch for the second scenario? And here comes another fascist rabbi Avi Shafran: "Trump and The Jewish Question" (Avi is originally from Balto too). Rabbi Yitzi Weiner had to leave his rabbinic position in Boston as rabbi Moshe Eisemann had left Philly decades ago. Both ended up in Baltimore. Both have been involved with Russians. Here rabbi Weiner (in the center) enjoys a Russian moment with beer (bears?) in Baltimore: http://i66.tinypic.com/2csi7oz.jpg. The background church is especially amusing: "And they come to Jesus, and see him that was possessed with the devil, and had the legion, sitting, and clothed, and in his right mind" (Mark 5:15). As you can ascertain, rabbi Weiner is clothed and in his right mind too.